Discussion in 'Roller Coaster Construction' started by Antinos, Jan 6, 2019. 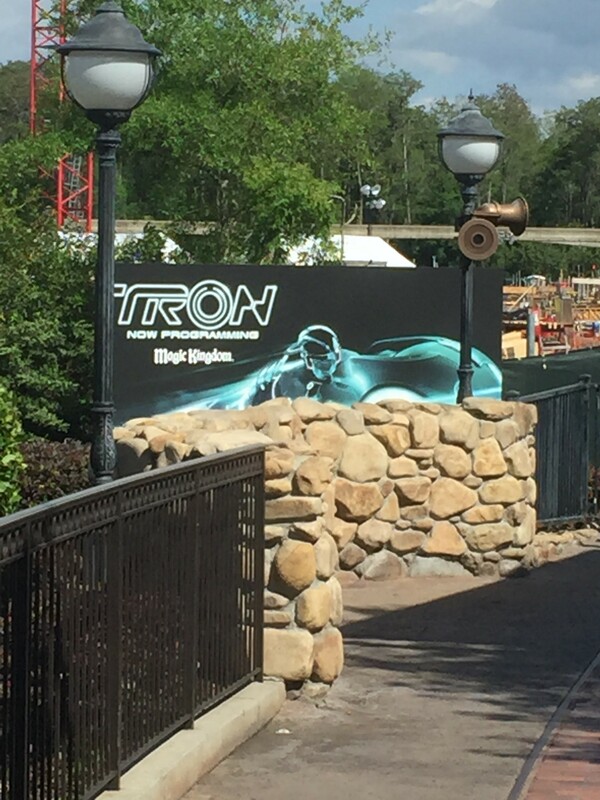 After doing a search, it looks like there was a topic regarding Disney's announcements from almost two years ago now, but no dedicated topic to Walt Disney World's Tron coaster, so here it is. If the mods care enough to shuffle some posts around or merge some topics, go for it. We don't know a ton about this ride (or I live under a rock), but I think it's safe to assume it's a Vekoma that's either similar to or a clone of the ride in Shanghai Disneyland (again, chances are that I just live under a rock). 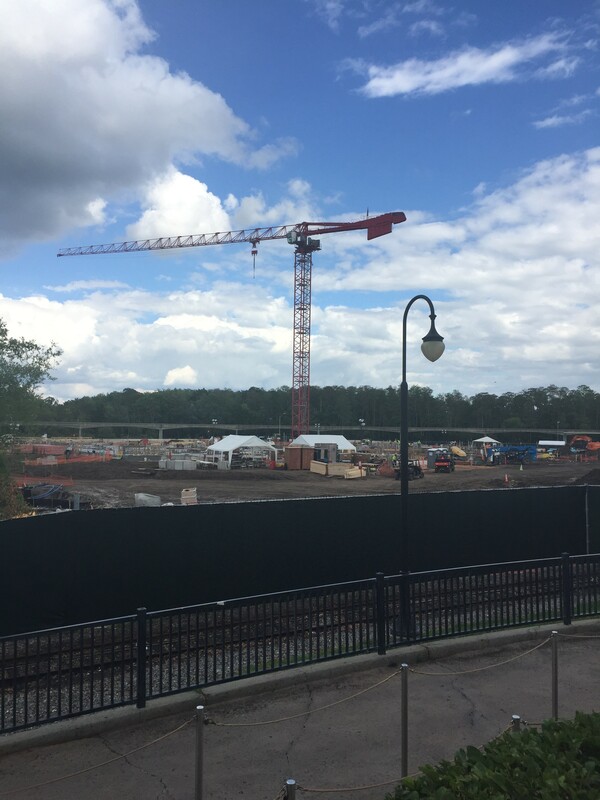 They've been in the dirt pushing phase for quite a few months now, but with various rides in the area closing to allow for new alignments and heavy machinery access, it looks like things might literally begin picking up before we know it. Pokemaniac, Matt N and Howie like this. ^You know what? I've never paid too much attention to Tron, or Shanghai Disneyland (or the whole of Asia if I'm being honest), but I recently watched some video of the Tron coaster and... wow, it looks epic! Matt N and Howie like this. Yeah, it'll be a clone. The coaster itself seems a little tame but therefore fitting for Disney's audience. Hopefully they'll add some more lighting effects to it, and it'll be nice to see it in English instead of a language I can't begin to fathom! Antinos and Howie like this. ^Thanks gents. Suddenly got the urge to go back to Florida in the next couple of years. I actually like Booster bikes! After doing a search, it looks like there was a topic regarding Disney's announcements from almost two years ago now, but no dedicated topic to Walt Disney World's Tron coaster, so here it is. Yeah I think I just assumed we already had one too. I found the ride in Shanghai to be a bit underwhelming (but my expectations were unreasonable) but this will go down extremely well in Orlando. The way they link this up to rest of the Tomorrowland still intrigues me and it sitting next to Space Mountain is weird. Look forward to more bioreconstruct tweets over the next few years. I reckon Tron in Orlando will be fantastic; Shawn Sanbrooke had the Shanghai version in his last top 10 list, and everyone who's ridden Tron in Shanghai seems to rate it really highly! I thought it was incredible, actually. Sure it's a family coaster, but even on a bit of flat land it'd be a good one at that. The look of the light cycles, the sounds, the indoor effects, all make it a really cool experience. Especially at night - it's something else at night. tomahawk and Matt N like this. ^At least this version will be in English so we can understand the story better. How come there is a question mark after Vekoma in the title? What other manufacturer would it be? At least this version will be in English so we can understand the story better. There's not that much of a story (from what I can remember) and everything is translated via text under the images so there's not really much of a difference. Zierer? Intamin? Maurer Sohne? We can assume Vekoma, but we don't know for certain, hence the question mark. Hixee and Ethan like this. If we cared about what some dweeb from Midlands thought about every coaster, we'd follow him You're referencing the opinion of somebody who though nuggets and fries at Phantasialand was one of the best meals he's ever had. Coaster Hipster, CSLKennyNI, tomahawk and 3 others like this. And look at that. I guess this topic's creation was prompt! mrrc, tomahawk and Matt N like this. Loving the look of them removing part of the speedway. Now do the rest of it. peep, Antinos and Pokemaniac like this. Taken by me in the Barnstormer queue line. Looks to be progressing well! CrashCoaster and Edward M like this.